I always felt like I was a priority. Brick, Jones, McBrien & Hickey LLP approaches the practice of Family Law with an understanding of the unique combination of financial and emotional challenges present in domestic relations cases. 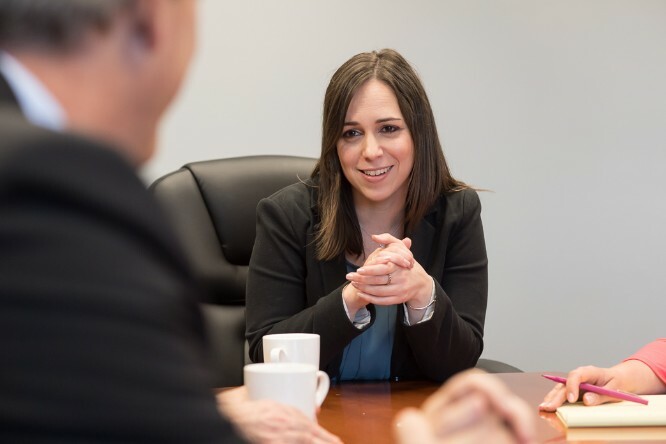 With attorneys having diverse professional backgrounds, the firm prides itself on its ability to find the “right fit” for each client’s representation while pursuing each client’s matter in the most effective and efficient manner and with the highest degree of integrity and professionalism. Whether through negotiation or litigation, Brick Jones assists clients in moving forward through an undoubtedly difficult process with a vision toward the future and a goal of seeing beyond the conflict. At Brick Jones, we know that the first step is often the most difficult one when it comes to engaging in a process that may alter your family structure, your finances and your day to day routine. Our attorneys and staff provide professional yet compassionate counsel and advocacy on behalf of our clients. How do you take that first step? Start with a call or email to our office. You will be asked to provide details for a conflict check and other basic information about your potential matter. If you do not have a particular attorney in mind, we will assist you in determining which attorney is best suited to represent you. Following these steps, an initial call or meeting will be scheduled during which we will endeavor to better understand the circumstances and dynamics of your matter, provide you with substantive and procedural information, and answer any questions you may have. From the outset, our goal is to create a partnership between attorney and client to see you through the conflict and beyond. At Brick, Jones, McBrien & Hickey, LLP, our attorneys bring their varied professional backgrounds and strengths to all aspects of any case. With backgrounds in criminal prosecution and defense work, international divorce law, assisted reproductive technology law, psychology and social work, we have a breadth and depth of knowledge that enhances client representation. In addition to these areas, our attorneys publish articles and books on family-law related topics and are frequently called upon to teach complex financial and legal topics to other attorneys and professionals in the family law industry. Several members of the Firm also serve in neutral capacities through private or court-appointed work as mediators, conciliators and Guardians ad Litem.